Pierre Gasly has been patient in his approach, but after maximising the opportunities that have fallen his way in 2018, he has become a prime candidate for a Red Bull drive next year, writes F1 Digital Editor Luke Smith. It’s a shame that Formula 1 doesn’t have an IndyCar-style ‘Rookie of the Year’ award. In a championship where instant success for drivers is a rarity, it would be a good way to celebrate the success of each year’s new crop of talent. If we were to highlight the outstanding rookie from the new drivers on the grid for 2018, the immediae answer for many would be Charles Leclerc. The hype surrounding the Ferrari youngster and his efforts with Sauber this year has tended to overwhelm any focus on the other fresh faces in 2018. And yet if we went by IndyCar’s ROTY award criteria, Leclerc would not be on course to win it. It would actually be a full-season rookie who has scored twice as many points – and who is now in serious contention for a top-line seat for 2019. 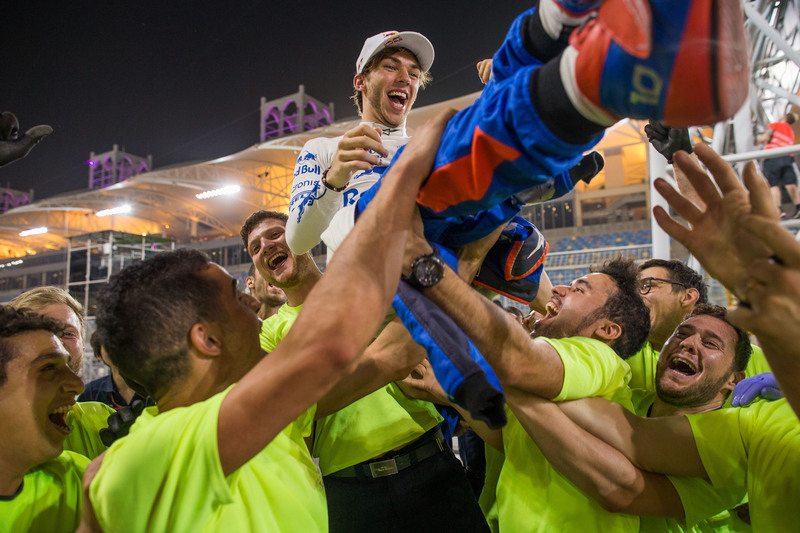 Pierre Gasly’s rise to F1 was hardly conventional. He didn’t take the regular route up the Red Bull ladder, going step-by-step through junior series gradually a la Sebastian Vettel or Daniel Ricciardo. A series of sideway moves between Formula Renault 3.5, GP2 and Super Formula all had to be negotiated before a sudden call-up to a Toro Rosso F1 seat in Malaysia last year in place of the jilted Daniil Kvyat. On paper, it hardly looks like the most convincing path to a top-line seat. But since the start of his first full season in Australia, Gasly has produced a number of stand-out displays that have now made him a prime candidate to replace Daniel Ricciardo at Red Bull next year following the Australian’s shock decision to leave, announced last week. That didn’t look like the state of affairs when I came to sit down with Pierre for a one-to-one interview in Hungary ahead of the summer break. Ricciardo looked nailed on to stay at Red Bull, making Gasly’s future a moot point. It seemed obvious he would stay at Toro Rosso, so good have been his displays this year, with the pressure instead being on teammate Brendon Hartley to keep his place. Gasly has been Toro Rosso’s leader during its early days with new engine partner Honda. The team’s form has yo-yoed between circuits, but the young Frenchman is content with how he has capitalised on the opportunities that have come his way. It was that result in Bahrain which ensured Gasly would never descend into forgotten rookie territory. In only the second race of the Toro Rosso-Honda partnership, he managed to put in a faultless display, maximising the team’s surprise pace advantage over the rest of the midfield and cashing in on trouble for both Red Bulls and Kimi Raikkonen ahead to finish fourth. Bar Vettel’s victory at Monza in 2008, it matched the best-ever result for a Toro Rosso driver, as well as being Honda’s highest F1 finish for 10 years. But results like Bahrain weren’t to become the norm. 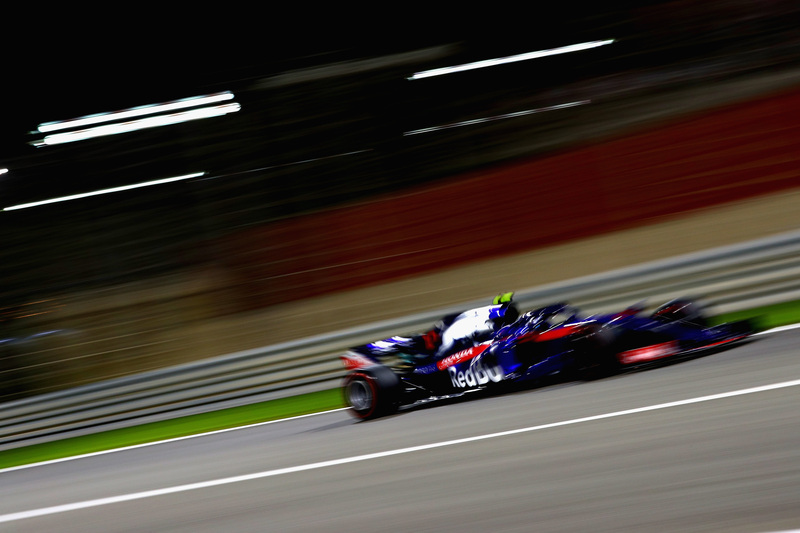 One week later in China, Gasly dropped out in Q1 and finished the race third-from-last after contact with Hartley. These great swings have been the marker of Toro Rosso’s season. Bahrain, Monaco and Hungary have been its strong circuits where it was really capable of scoring points. In Spain and France, less so. Most severely at Silverstone, the team was losing around nine-tenths of a second on the straights alone. This varying form left Gasly having to change his approach and expectations. “[At] one race, we seem to be able to fight in the top 10, and then another one we’re out in Q1 straightaway with no chance,” Gasly says. “The most difficult thing as a rookie is when you come from lower categories where you fight for podiums, championships, victories, you come every weekend really angry and ready to fight for the wins. And in Formula 1 it’s not the case. “In a way you never really know what you’re going to be able to extract from the package you have. Silverstone qualifying was probably the best lap of my season, and I was only 14th on the grid. It’s sort of difficult to be happy. Gasly has spent much of his career fighting to prove his worth and his quality. After finishing second in Formula Renault 3.5 in 2014 behind Carlos Sainz Jr., Gasly spent a tough year in GP2 before finally winning the title in his second full season in the category. But that still wasn’t enough to secure an F1 drive at the start of 2017, even thought it coincided with Daniil Kvyat’s ongoing struggles following his demotion from Red Bull. All Gasly could do was keep trying. “I think I had to face a lot of challenges to make it to Formula 1,” Gasly says. “I think in a way, all these experiences of testing myself in all ways possible - mentally, physically - I knew that if I was able to show them ‘I’m not giving up, I’m just going to push until the end, until you give me my chance and my opportunity,’ I knew that in a way the only thing I had to do was to keep pushing as hard as I could. “We know that it’s a sport where performance isn’t the only parameter. There are a lot of politics and a lot of things that as a young driver, when you’re 20 years old, you don’t really control. Gasly flourished in his year in Japan. Linking up with the Honda-powered Team Mugen, he took two race wins and one further podium to get in title contention - only to then get the call he’d always waited for: he’d be making his F1 debut at the Malaysian Grand Prix. “I was just like…” Gasly begins, recalling his initial feelings, before stopping and breaking out into a huge smile. ”In a way, I knew this had to come one day, and now it came, so just make sure you use that opportunity to make the best out of it. Gasly may not have scored any points in his five-race stint at the backend of the 2017 season, but he did enough in the by-then-uncompetitive Toro Rosso to secure a drive for the following year. He’d have a full season to display his talents and stake his claim to a future in F1. And he’s done precisely that. Bahrain was the stand-out moment, but there have been other times where he has turned heads in the paddock with his performances. In Monaco, he reached Q3 and finished seventh, having kept his Hypersoft tyres alive for 37 laps in the race. Hungary was another masterclass in tyre management from Gasly as he kept pumping in personal bests by the time most other drivers had given up on their Ultrasofts and pitted for fresh rubber. He ultimately finished the race sixth, the final driver not to be lapped and as the leading midfielder. For a team that expected a rough time of it this year, Gasly has grabbed every major opportunity that has come Toro Rosso’s way. He’s not seen as just being another F1 junior product who could be wheeled out in a few years’ time. Asking drivers throughout the grid who they expect to be the leading names in 10 years’ time, the same names come up again and again: Verstappen, Leclerc, Ocon, Norris – and Gasly. So what of 2019, now that Daniel Ricciardo has opened the breaches with his move to Renault? Is Gasly – a driver with but 17 races to his name – ready for Red Bull? I touched on the idea of a Red Bull seat in the future – again, prior to Ricciardo’s announcement – in the same vein to how Gasly spoken about earning his F1 chance in the first place. Surely if he’s doing everything right, there’s a sense of inevitability about it? Would a Red Bull seat be something that “had to come one day,” much as he felt his F1 chance did? “It’s clearly a target as a Red Bull driver,” Gasly says. “But for me, the main thing, the only thing you can impact on, is your performances. As long as you just push as hard as you can and show great performances, I do believe that opportunities always come. As long as you work hard enough and show good things, these kind of great opportunities will come with it. 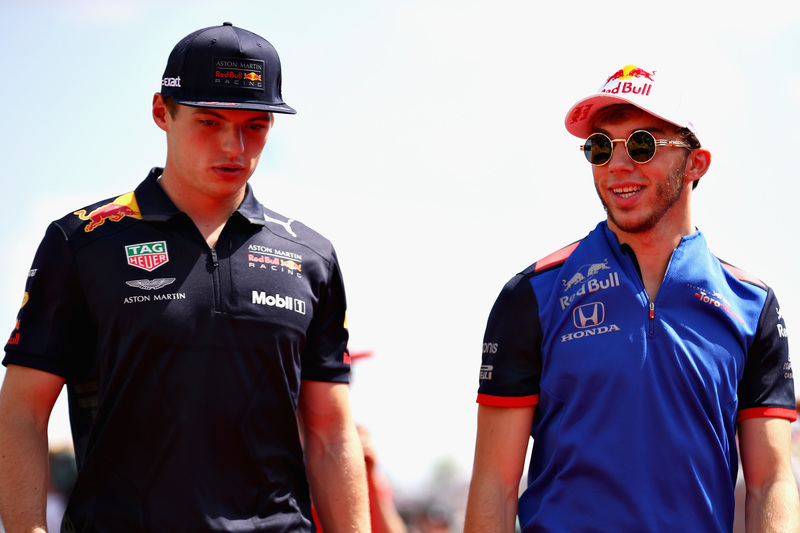 Unless Red Bull were to break with tradition and hire a driver from outside its own pool for 2019, the race to replace Ricciardo is between Gasly and Sainz. Red Bull’s option on Sainz expires at the end of August, so must move quickly if it wants to snap the Spaniard up, particularly amid interest from McLaren. Sainz has more experience than Gasly, yet has struggled to match Nico Hulkenberg at Renault this year. More concerningly for Red Bull is the possibility of the needle we saw between Sainz and Verstappen at Toro Rosso returning. Gasly may be less experienced - perhaps creating fears of a repeat of Kvyat’s demise - but there’s a key link he holds that no-one else in the Red Bull family does in the same way: to Honda. When Gasly was shipped off to Japan, it marked the start of relations between Red Bull and Honda, laying the groundwork for the Toro Rosso deal to be brokered for 2018 when things went awry with McLaren. That in turn escalated into a full deal for the senior Red Bull team, starting next season. “I think it was pretty funny, when I went to Super Formula, people started to talk about it already, that Red Bull is making a first contact with Honda and probably for a longer-term deal or something like this,” Gasly recalls. “Year by year, everything happened, what people said at the time. I’ve been the first piece in this relationship with Honda. It’s really cool, and I’m really happy about it because I started to build that relationship in Super Formula. “We have a really cool story behind us, and a really strong one as well.” And in the absence of any top Japanese talent ready to make the move, what would be a cooler added chapter to that story than for Gasly up as part of the first full Red Bull-Honda Formula 1 line-up in 2019? The race for the Red Bull seat is likely to define the driver market story for the coming weeks and months. And while Gasly – at the time of writing, soaking up the sun in Greece on his summer holiday – will be doing all he can to put himself in the frame for that seat, he will know that on-track this year, he’s done everything in his power to do so. If Red Bull does opt for Gasly as Ricciardo’s replacement, it would act as the most spectacular reward for the young Frenchman’s patience. And few would begrudge him the opportunity to shine at the front of the grid.